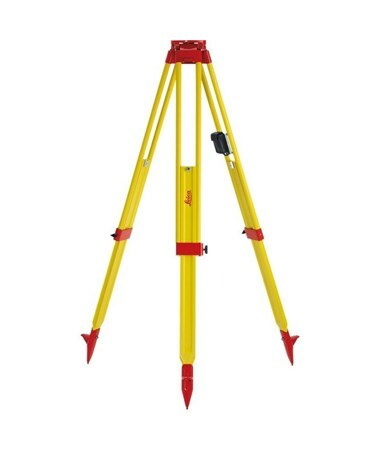 The Leica GST Professional 5000 Series Telescoping Wooden Tripod is a high-quality tripod for mounting a wide variety of construction and surveying instruments. Featuring a flat head with 5/8-11 screw threading, it is designed to fit all Leica levels, theodolites, total stations, and GPS antennae. It provides superior durability and strength with its heavy-duty beech wood construction. 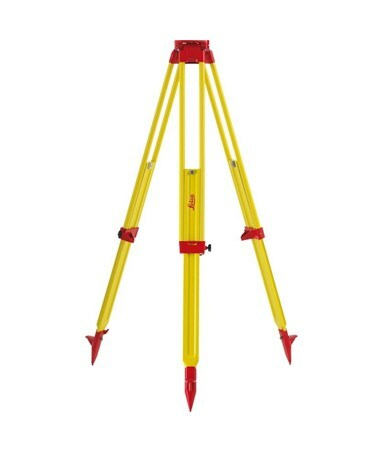 This professional-grade wooden tripod by Leica offers adjustable height ranging from 3.6 feet up to six feet to accommodate most measuring needs. Its side-clamp screw locking mechanism ensures stability by securely holding its legs while working. With pointed feet, it can stand steadily even on rugged terrains. 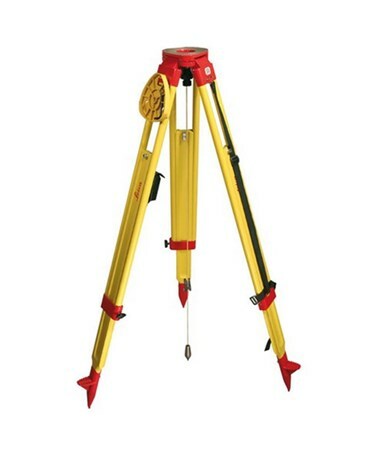 It also includes a plumb bob hook for accurate leveling and aligning. The Leica GST Professional 5000 Series Telescoping Wooden Tripod allows quick set-up and stowing with its unique, patented self-interlocking feet (GST120-9 model only). With an optional tool pouch, it has room for supplies and other accessories. It also comes with a carrying strap for easy storage and convenient transport from one jobsite to another. For guaranteed efficiency, it is supported by a one-year manufacturer’s warranty. 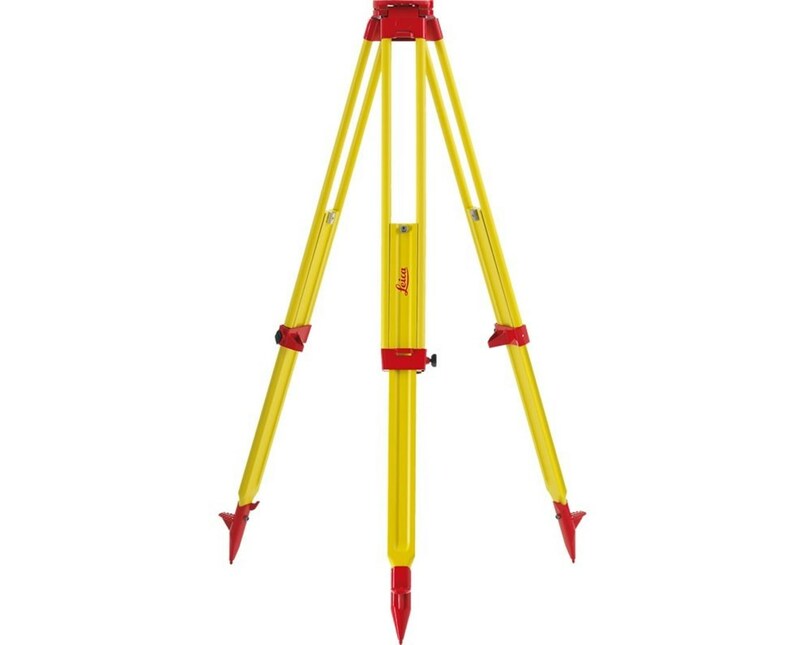 The Leica GST Professional 5000 Series Telescoping Wooden Tripod comes in three different models to provide solution to most construction and surveying needs. Please select your preference from the menu above.